M Restaurants are celebrating Valentines in style with the ‘Call it Puppy Love Party’ from 11am – 2pm, Saturday 16th February. If the love of your life just happens to be furry and has four legs then this is the perfect event for you! 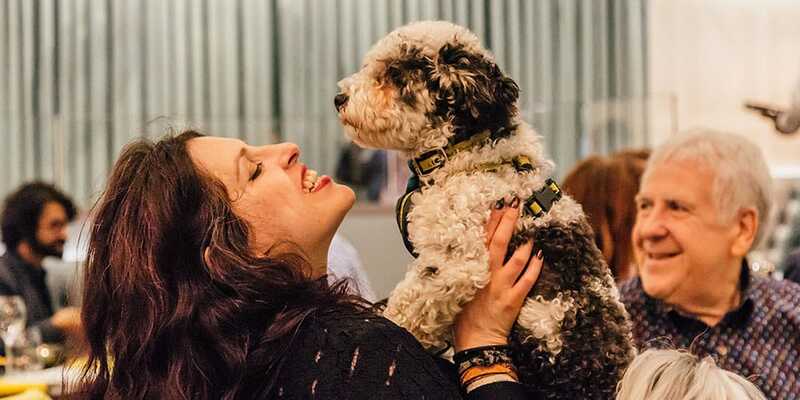 The Puppy Love Party is all about the love you have for your pooch, from the cooking masterclass that teaches you how to cook delicious and nutritious food to the Doggy Speed Dating and the POOCH LOVE SEAT! You can choose to dine from our A La Carte Menu or to dine with your dog on our delicious 6-legged menu (2 courses for both human and animal!). À la Carte or 6-legged brunch menu for £35pp (a 2-course menu for you and your dog) with a £15.00 donation per pooch going to The Dogs Trust. 4:00pm – The Pooch Love Party comes to a close and everyone will be gifted with some Love treats for your doggy! You will also have the opportunity to take pictures throughout the day in our Pooch Love seat and for those that come dressed for the occasion we will be running a competition for the best dressed duo for the chance to win and magnum of Champagne and 4 bottles of Pawsecco to enjoy together! So why not get loved up at the Puppy Love Party? Get your tickets here. Puppy Love Party event description and image courtesy of the event organiser. What is doggy speed dating is it the humans or is for the dogs?